Up until now, I still marvel at the thought that I get to do two things I love the most, even beyond marriage and motherhood–singing and traveling. 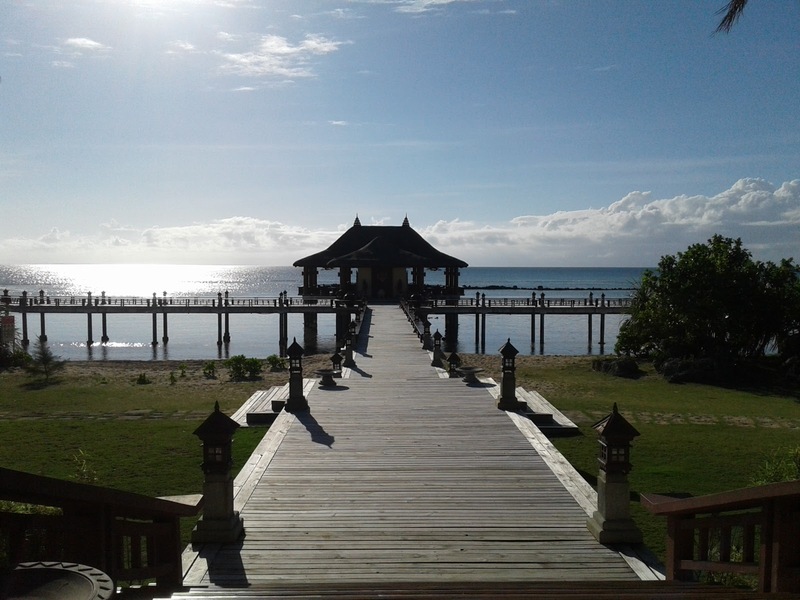 For my first working trip this year, I was off to a beautiful island called Balesin. 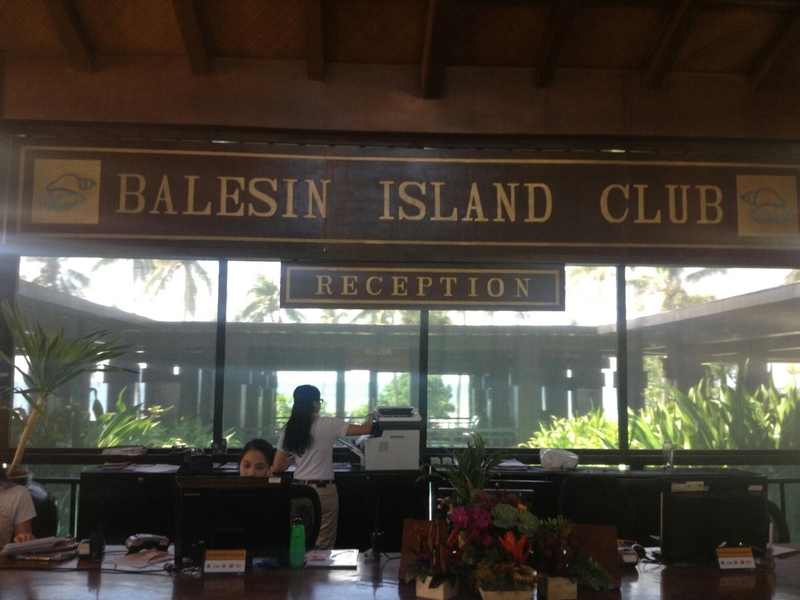 Balesin is managed by Alphaland Corporation. 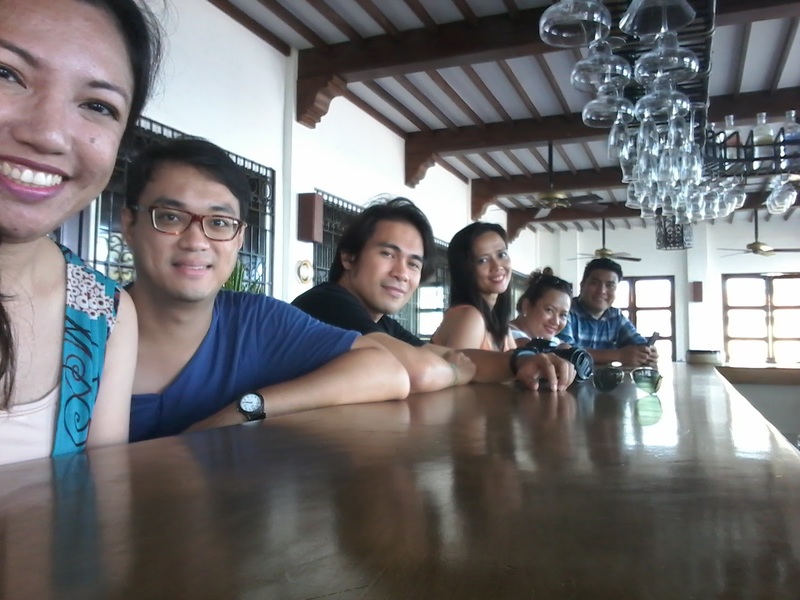 It is a members-only resort so it was just so lucky for me and my choir team for those two days to be invited to sing for a wedding. Uh, oh, dark clouds and eventually heavy rain poured over the island. 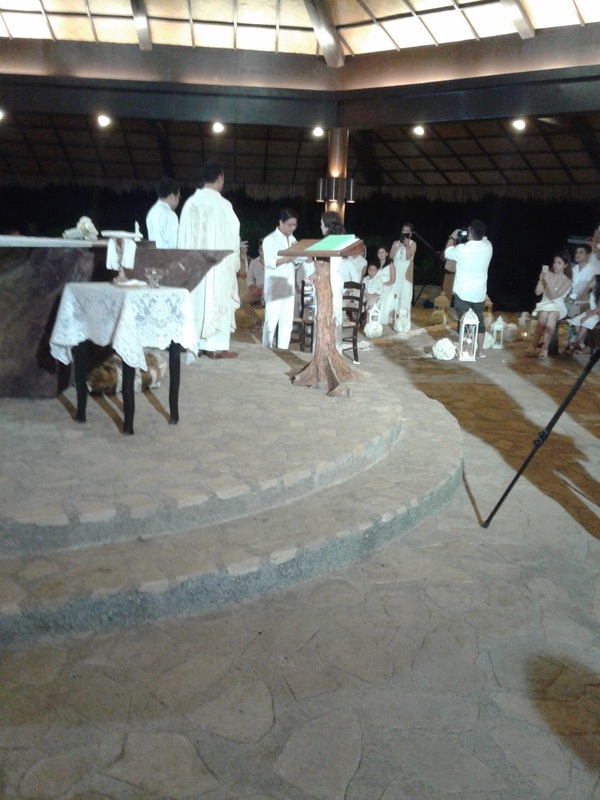 Was taken inside the chapel. The wedding still went well, nonetheless. It was lovely, and well, white! It was the theme for the day. After which, we spent the rest of the evening by the beach, sans rain. 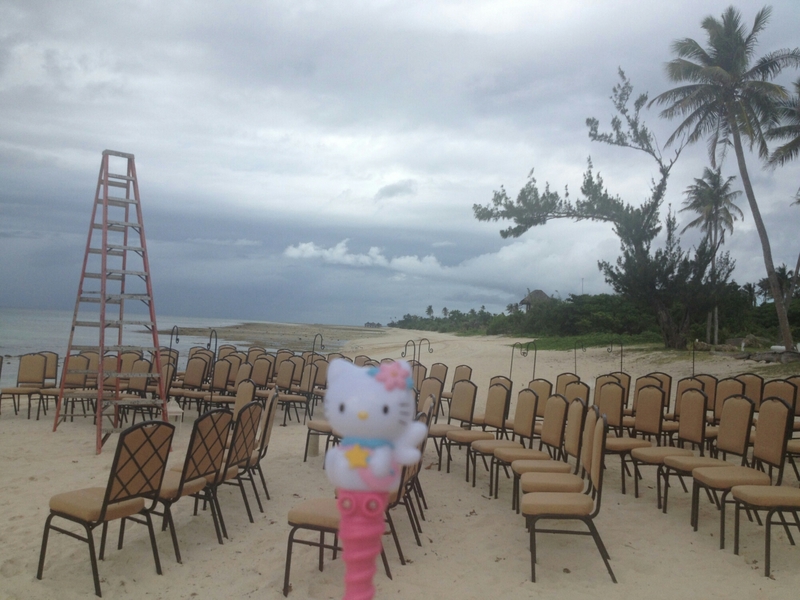 Beach reception! 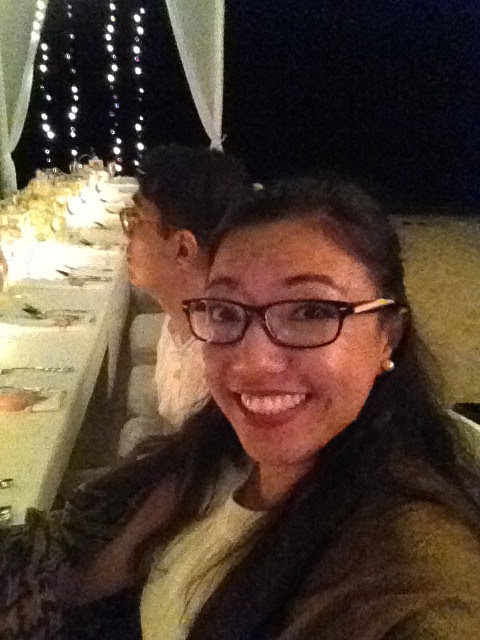 Moi, in a blurry selfie of the beach set up. 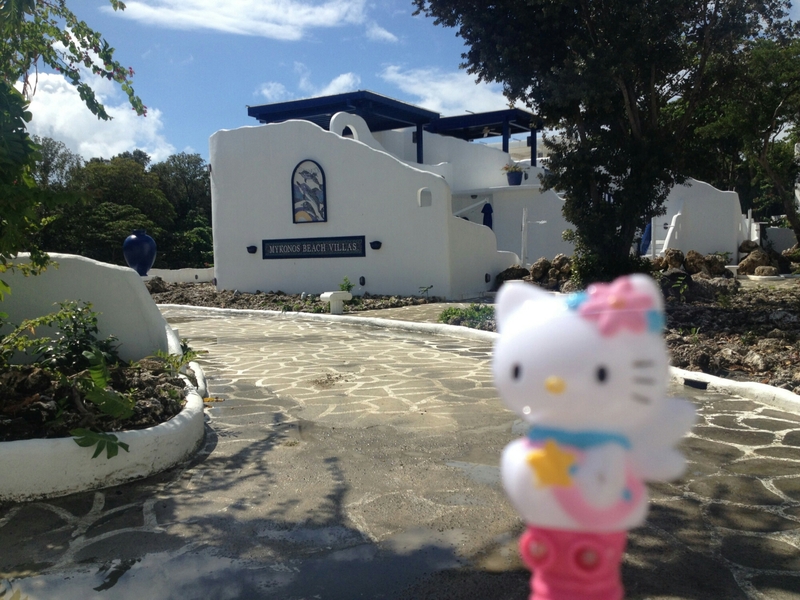 We rested early and took the entire morning and afternoon the next day for swimming and going around the different themed villages of the island. 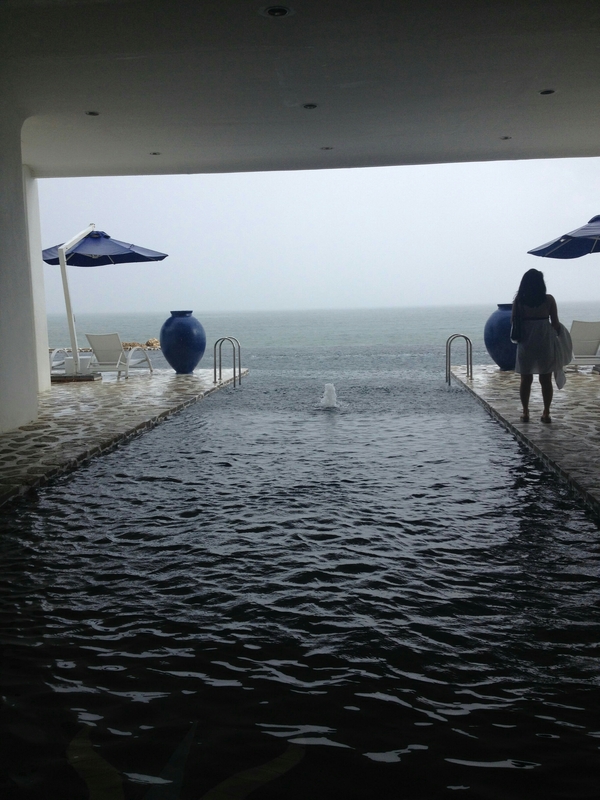 The infinity pool and the Pacific Ocean. No, it doesn't go straight down there, but yes, I was able to touch the waters of both. This villa was where we stayed. Blue and white, Santorini look. 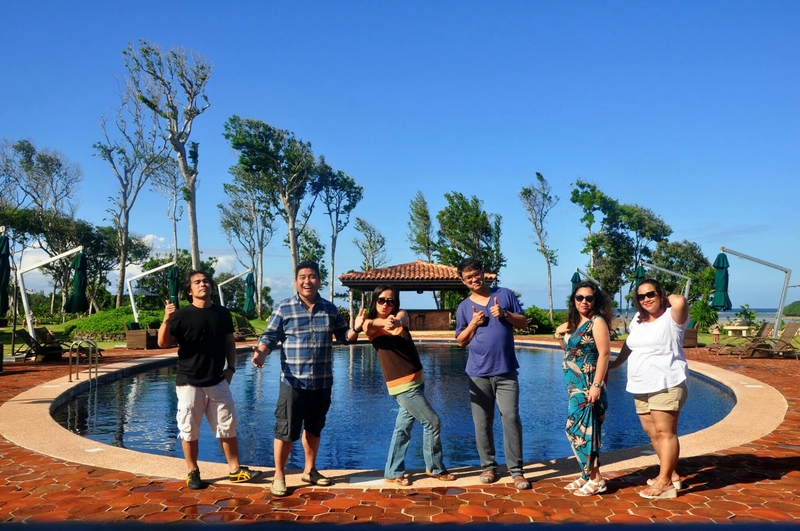 Toscana, an Italian inspired villa, where we had most of the beautiful shots taken. This one by my tenor-friend, Ervin Lumauag. 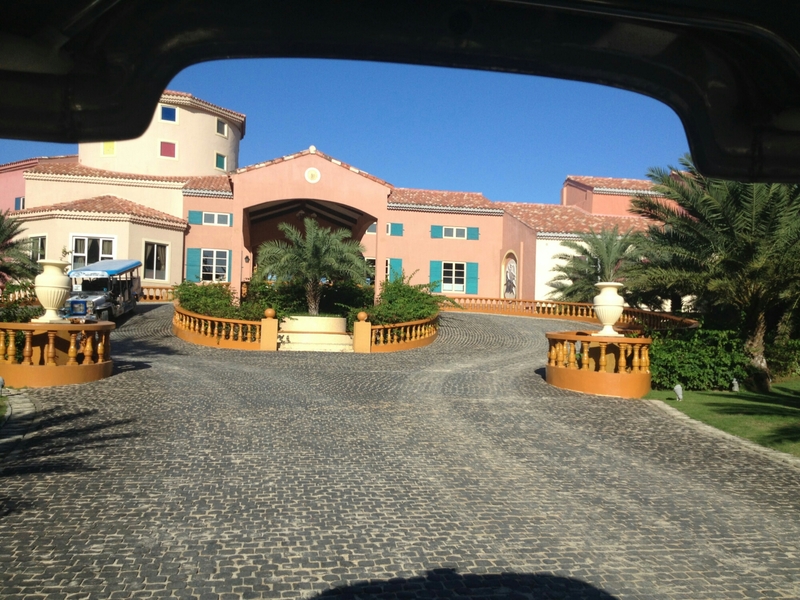 While inside a jeep that takes us all around the island, I took this shot of St. Tropez, the French inspired villa. 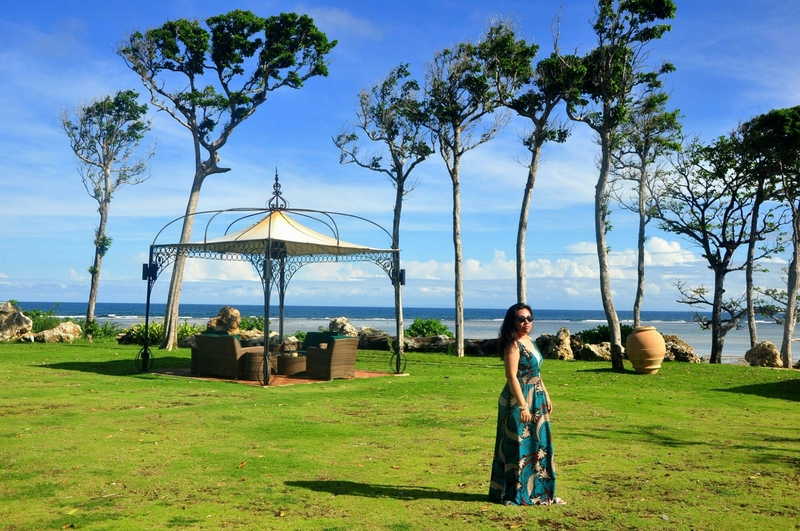 This was the Indonesian inspired villa. We wish we could have Tapas, but we have to head back so as not to be late for the flight. This was in Costa del Sol, the Spanish inspired villa. We had fun going around the world in a day! And here’s a photo compilation of the trip. Click this link. Looking forward to more singing trips in the near future.